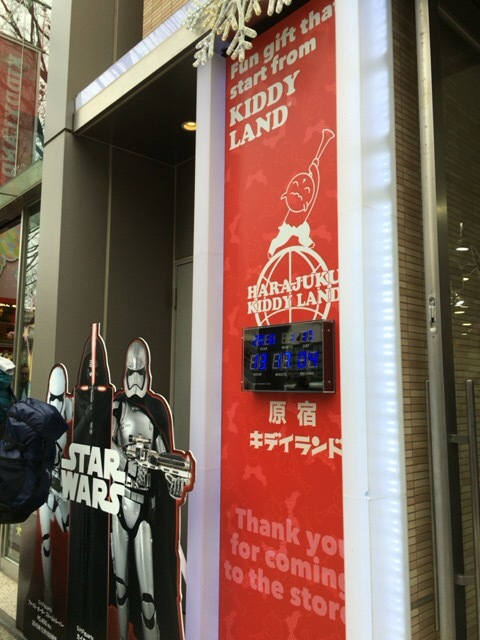 We have been to KiddyLand in Harajuku to get a handmade chocolate kit. 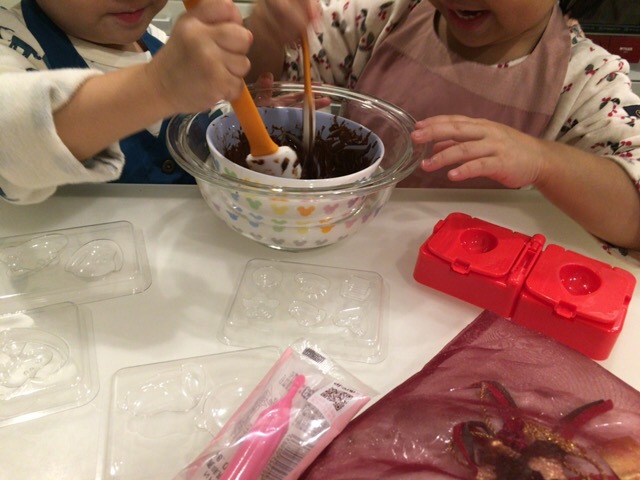 Kids enjoyed stirring melting chocolate and pore it into molds. 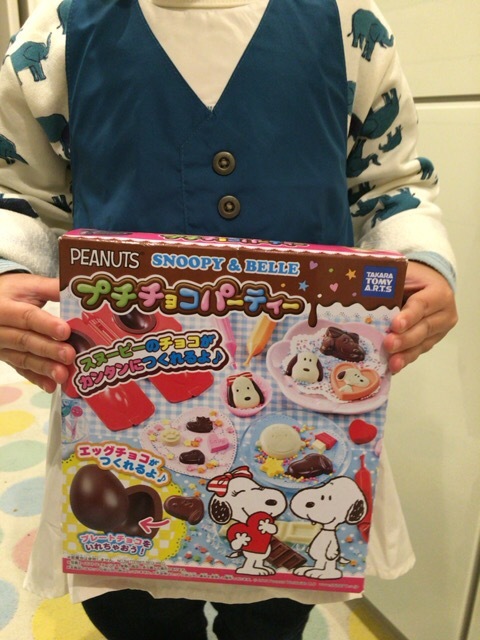 Waiting was fun, and eating them was even more fun!